Today, Ashley and I celebrate our 8th anniversary of marriage. 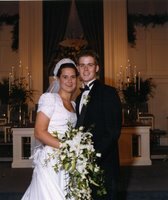 Though we have been married 8 years, we have been dating for 15 years. 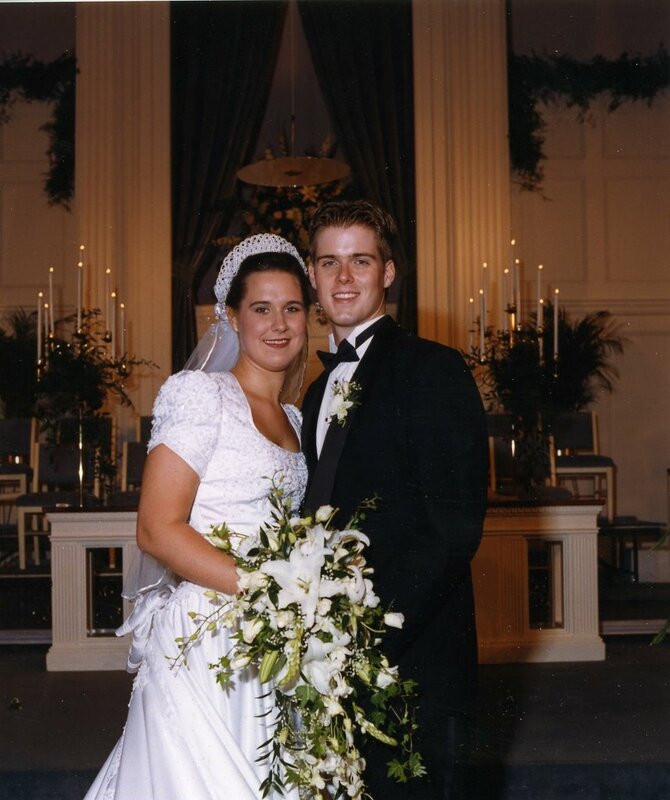 I guess looking at these two photos you can tell what 15 years, two children and lots of youth ministry can do to a couple. I love you Ashley and love being your husband. You are an amazing wife, a great mom to Anderson and Ellis and a wonderful partner in ministry. Thank you for being such a great example of Christ to me. I cannot believe it has been 8 years! WOW! I feel like just yesterday Alden and I were riding in the back of the datsun with you and Ashley headed to school. HA! I have only one question for you now- how in the WORLD did Ashley get her hair to do that! That is hilariously awesome!! WOW! It’s has been a while, I have to say though I have known you for abut 13 years now? And you guys were thr first example that I ever had of a Christian couple. THANKS! I hope that someday (God willing it’ll be soon LOL!) I too can experience the same kind of happiness you have.